Hi hi! Hope you've been enjoying the long weekend. 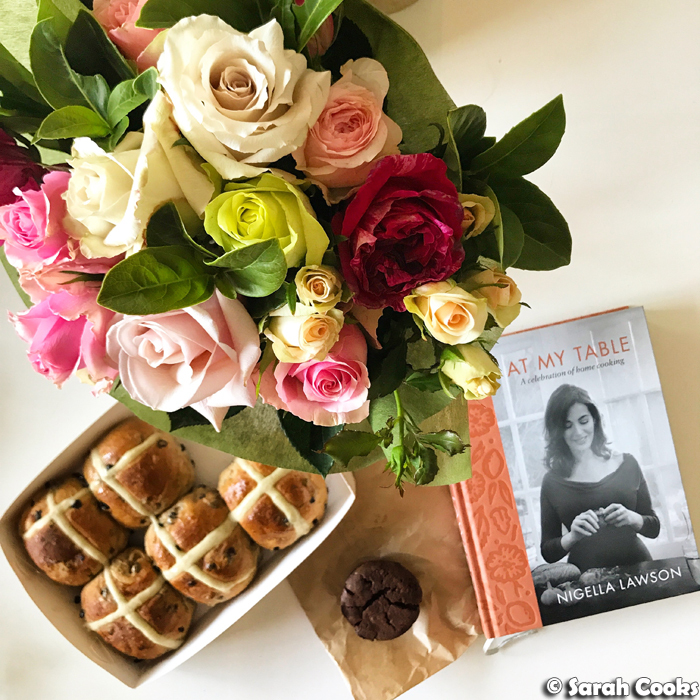 My plans have involved chilling out, eating a ridiculous quantity of hot cross buns, and catching up with friends over good food and wine. For now, it's time for another Current Obsessions post. I get really excited about things, and love to share them with you. 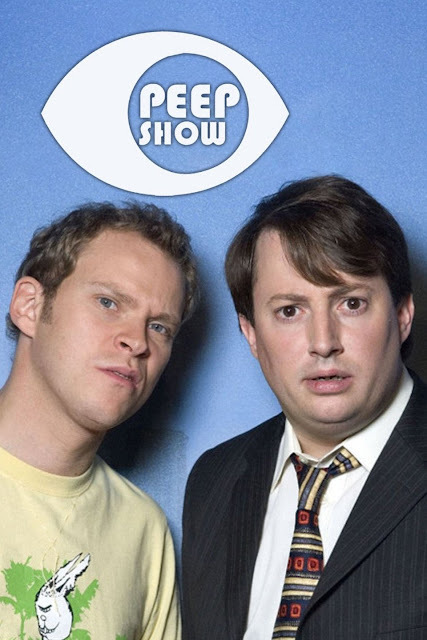 Robert Webb & David Mitchell on Peep Show! Image source. I am obsessed with Peep Show. Obsessed! My brother bought the season one DVDs about ten years back and I watched a couple of episodes then. I found them funny, but the show didn't really stick with me. More recently, however, I was on a plane and watched a few episodes from season nine and found them hilarious! Like, trying not to cackle on the plane and embarrass myself kind of hilarious. A month or so ago I realised all nine seasons were on Netflix so there was nothing to do but start from the beginning... it pretty much consumed all my spare time for a good few weeks. It's so funny - slacker Jeremy and neurotic Mark, the internal monologues, that cringey humour that was popular in the early naughties. It's a bit wrong but so right. Also worth getting into: Would I Lie To You with David Mitchell as a permanent panel member, and the excellent How Not to Be a Boy by Robert Webb. It's no secret that I'm a coffee fiend. (A caf-fiend, if you will). My coffee of choice is a magic - a double-ristretto three-quarter flat white. I know, could I be more Melbourne? My buddy Andrew from my old work got me onto these - I was at the stage where a single-shot latte just wasn't cutting it any more (more caffeine please), but a larger latte would be too filling. Enter the magic! 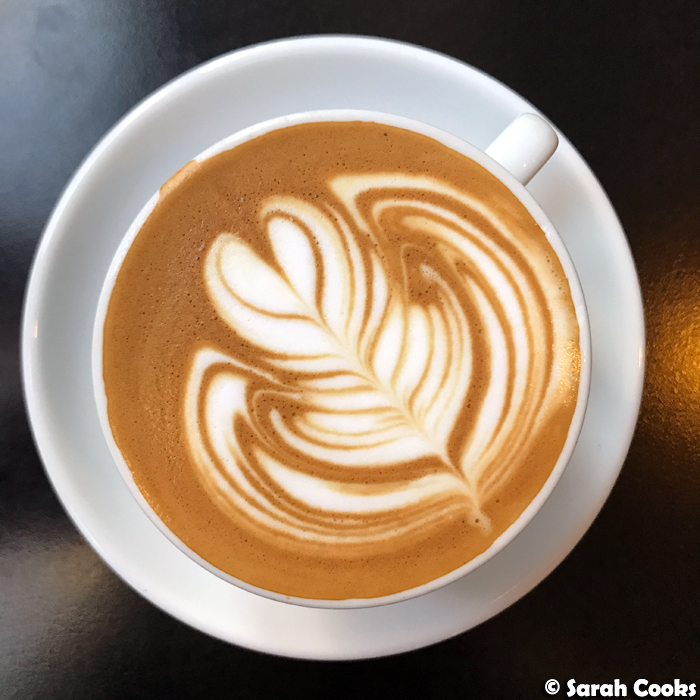 The "magic" ratio of coffee to milk - strong, rich, delicious, and when made well, just perfect. The Zootopia Sloth Scene Follows Classic Comedy Principles to Become a Huge Success (Bustle.com) - I found this link while searching for a link to the Sloth scene and thought it was a detailed yet easy-to-read analysis of what makes the scene so funny. I am a Masterchef Survivor (Salon.com) - an absolutely fascinating long read about the behind the scenes workings of MasterChef (US). Japan's Prisons are a Haven for Elderly Women (Bloomberg) - a friend shared this article on Facebook and I found it quite poignant. There's Nothing Chinese about Chinese Ready Meals (The Guardian) - excellent article by the wonderful Fuchsia Dunlop on the healthiness of real Chinese cuisine, in response to a xenophobic article (also in The Guardian) asserting that Chinese takeaway dishes and ready meals in the UK should carry a health warning due to their high salt levels. Let's focus on on the takeaway and ready meal aspect, not the fact that these (British-made) ready-meals are "Chinese". So really, a Western idea of what a Chinese meal should be, kthxbai. Speaking of Chinese home cooking, one dish that I make incredibly often is Taiwanese Meat Sauce on Rice. I first made it five years ago, and it's been on high rotation ever since. I don't often repeat recipes, as I'm always trying new ones, but this one is a real keeper. I always serve it with the soy eggs, blanched gai laan, and fan wu cai eggplant (that's eggplant slices cooked with the rice in the rice cooker). So wholesome and delicious! Here's the recipe. Enjoy! That's all for today! Coming up soon on the blog are lots of fun recipe posts - some healthy, some indulgent. I've got a cauliflower rice pulao and a heavenly cheesecake recipe that I can't wait to share. I'm also planning to blog about our trip to New Zealand and our engagement party soon, so that'll be fun! Hope you're having a great day! 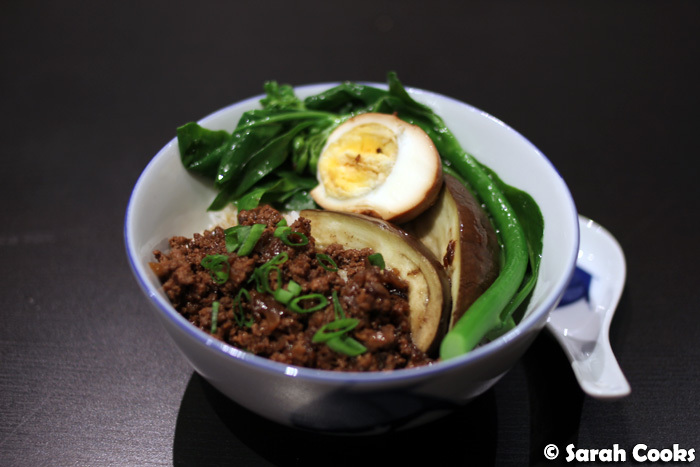 I love that taiwanese meat sauce dish! So easy but so delish. 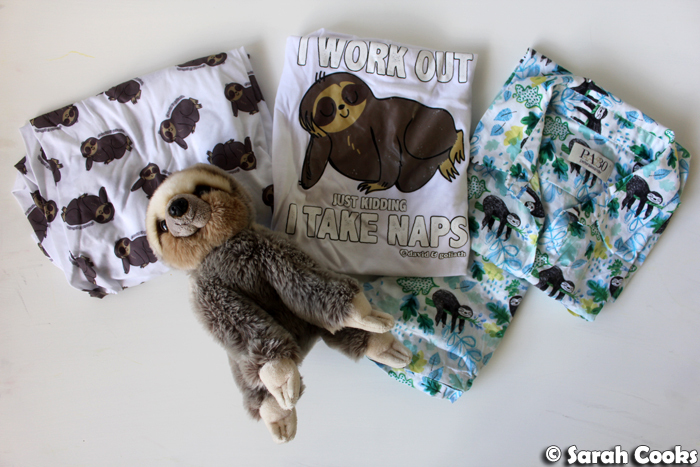 And yay for cute sloths. They're so adorable.